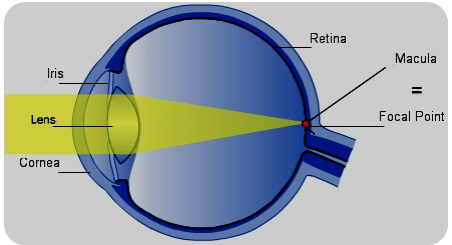 The normal eye works similarly to a camera: the cornea and lens focus the image of a distant object on the retina and capture the image as does the film of a camera. The cornea is largely responsible for the development of the image and its shape does not change. Small muscles can slightly change the curvature of the lens, which allows reading closely. These muscles relax with age, so after the age of 40, almost all people wearing glasses for distance need bifocals or progressive lenses for reading. Even people with a very good distance vision may need to resort to reading glasses.